In between walking the strip and going on a Vegas pub crawl, you’ll likely spend some time in a few casinos during your stay in Sin City. However, it’s crucial to know how to act when partaking in gambling. Follow these tips and you’re sure to be playing it safe. 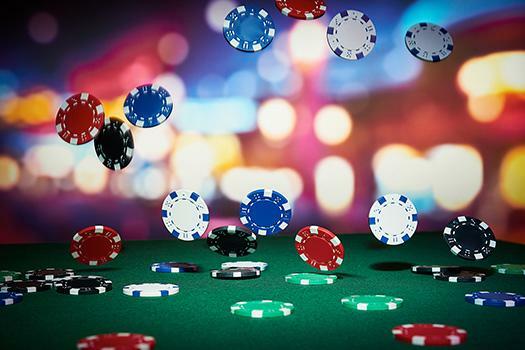 Although drinking in casinos is encouraged and alcohol is easy to order while playing the machines or tables, it’s not proper to get drunk and make a scene. Getting intoxicated will disturb other players and can get you kicked out if you behave poorly or are too loud. You may be having plenty of fun in a casino, but you still have to follow the rules when you play. Listen to dealers when they say they aren’t taking any more bets. You’ll also want to follow their lead as they direct the passage of play to ensure you can go with the flow. Whether you order a drink from a waitress or sit down to play at a table, it’s important to tip the staff to remain courteous. Anywhere between $1 to $5 is sufficient when you want to tip dealers or waitresses to show you appreciate their service. Tipping helps increase the overall hourly rate of each person who serves you during your visit. Many people visit casinos and sit in one spot for several hours as they attempt to win a money at a slot machine or table. Although you’re permitted to drink as you play, it’s important to avoid leaving trash behind for the next player who comes along. Wipe up spilled drinks and toss any trash that accumulates so you don’t leave a mess behind. If you aren’t confident with the rules, watch a game or two before jumping in at one of the tables. Not understanding the game can lead to confusion and make it less enjoyable for everyone playing at a table. Although you can always resort to asking the dealer for help, stopping to ask a question disrupts the game and can create a bad atmosphere. Though casinos are a lot of fun, if you’re a party animal at heart you’ll also want to check out some of the killer clubs in Vegas. Turnt Up Tours offers a one-of-a-kind party bus experience with unlimited drinks, VIP entry to the clubs, and a ride in a luxury limo. Book your tour today online or give us a call at 702-843-0525. Vegas awaits!